Jews have been part of Nebraska’s social, economic and political life since the mid 1800’s. 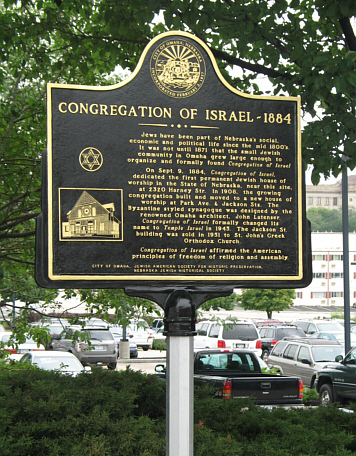 It was not until 1871 that the small Jewish community in Omaha grew large enough to organize and formally found Congregation of Israel. On Sept. 9, 1884, Congregation of Israel, dedicated the first permanent Jewish house of worship in the State of Nebraska, near this site, at 2320 Harney Str. 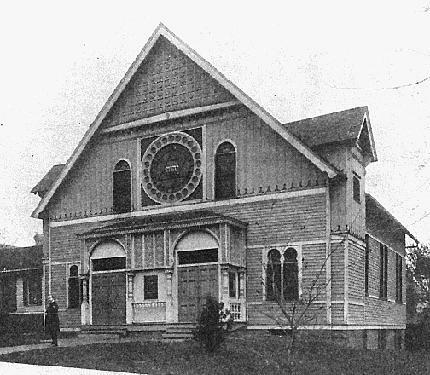 In 1908, the growing congregation built and moved to a new house of worship at Park Ave. & Jackson Sts. The Byzantine styled synagogue was designed by the renowned Omaha architect, John Latenser. Congregation of Israel formally changed its name to Temple Israel in 1945. The Jackson St. building was sold in 1951 to St. John’s Greek Orthodox Church. 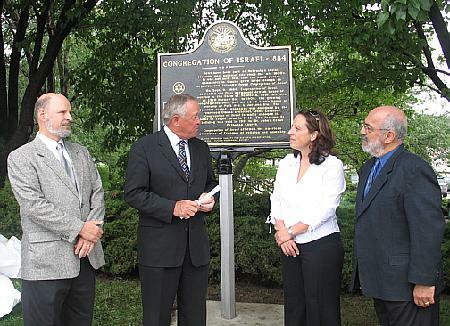 Congregation of Israel affirmed the American principles of freedom of religion and assembly.